There is a place somewhere between Preston Road and Dyke Road in Brighton where you could have been transported to a North London street. 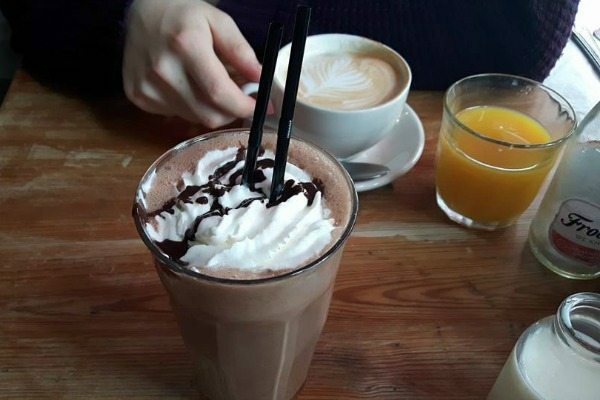 Nestled somewhat out of town in a residential area, Joe’s Cafe gives you the feeling of being involved in a local secret. But there is nothing secretive about the cafe’s recognition. 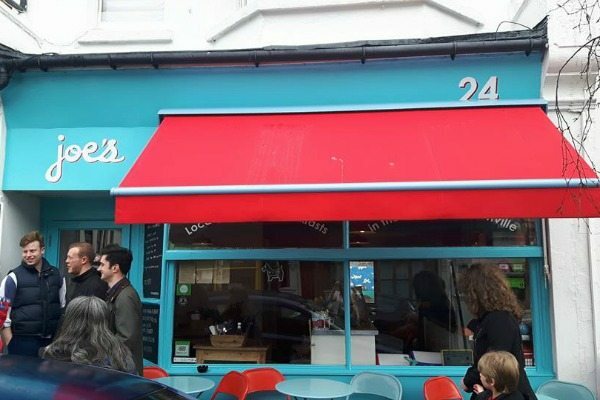 It has been showered with praise including best cafe and best breakfast in the Brighton and Hove Food and Drink Awards. This comes as no surprise to anyone who has visited. 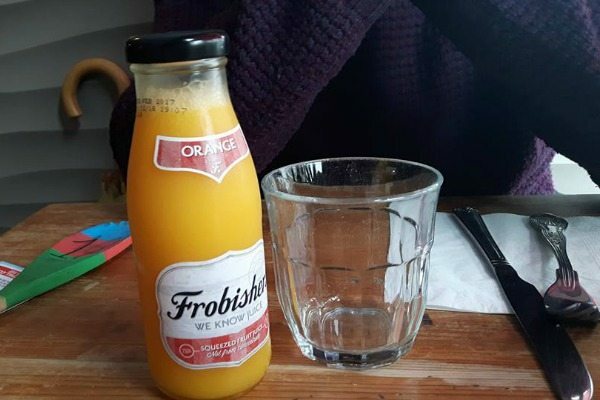 It is the cornerstone of a hearty Brightonian breakfast. But How Do It’s Vegetarian And Vegan Breakfasts Hold Up? A queue of eager customers was already forming as we arrived just before nine on a sleepy Saturday morning. If I’m being honest, we were both a little hungover (okay, maybe it was just me) and looking forward to the trusty cure of a full English. Once we got inside, we were instantly put at ease. 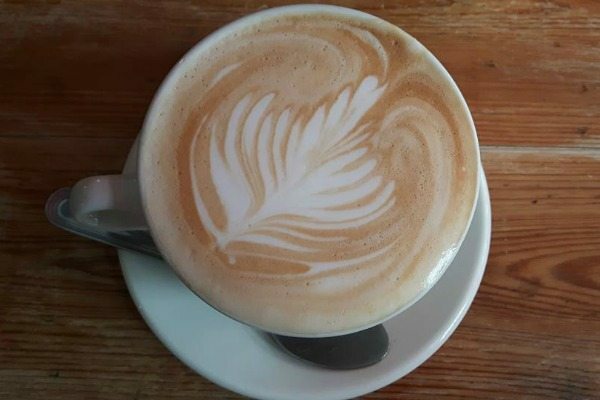 Joe’s has a relaxed, homely and welcoming feeling which allows you to get down to appreciating its food. As we pondered the many delights on the menu, from breakfast hashes to avocado and poached eggs on toast, people were coming in and buying the locally-sourced breads on display. The cafe takes ethical produce and transparency to another level. 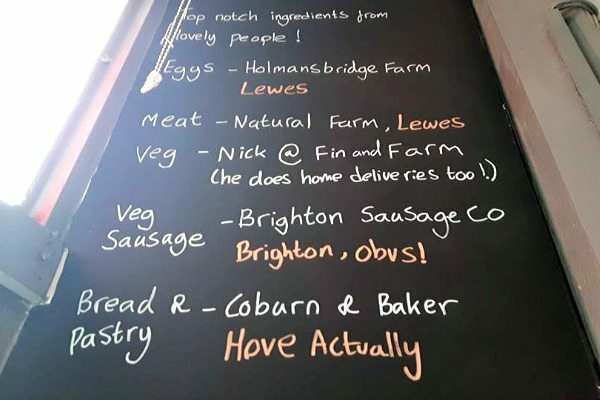 It has a blackboard with a list of all its ingredients and their corresponding Sussex-based suppliers. 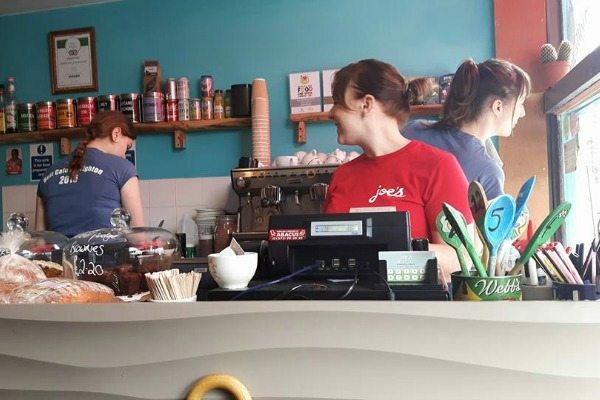 This is a nice touch which I haven’t seen anywhere, and adds to the impression that Joe’s really makes every effort to provide a quality experience. Feeling famished, I chose the ‘bigger’ veggie breakfast while my partner opted for the vegan breakfast. 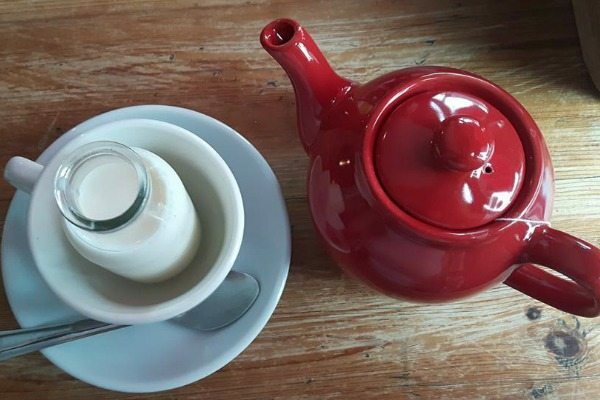 To drink, I had a pot of tea and he went for a latte (both had dairy alternatives available) and an orange juice, which he described as “top notch”. It was also impossible to resist ordering their peanut butter, banana and chocolate milkshake. It was a good move. That milkshake was not only a feast for the eyes: it was sweet, sumptuous and indulgent with the nutty peanut flavours providing a smoothly satisfying edge. Soon enough, the food arrived. 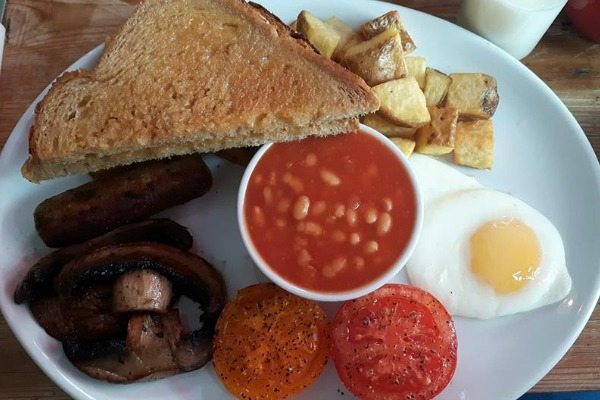 The bigger veggie breakfast includes a vegetarian sausage, mushrooms, two slices of toast, beans, a fried egg, fried potatoes and a slow-roasted tomato. As is the case with a good full English, there’s so much going on that I didn’t know where to start. The veggie sausage was bursting with cheese infusions and was really juicy. I would actually have liked to have had another. The bread stood out – you could really taste its quality and it seemed like it had just been baked. Everything was cooked perfectly. The only criticism that I could make of the dish was that there was too much fried potato. You can’t see it in the photo but hidden under the toast is a mountainous stash of it – yes it was scrumptious, but it was quite a struggle to get through. And I rarely struggle with clearing a plate. 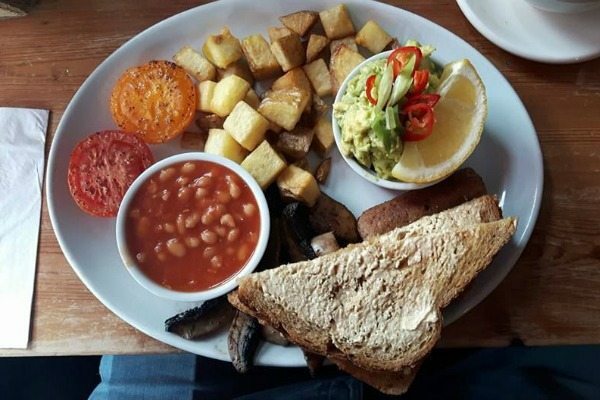 The vegan breakfast meanwhile is similar to the veggie one with a few tweaks: it comes with sausage, mushrooms, toast, beans, tomato, fried potatoes and the option to add crushed avocado for an extra £1.80. Firstly getting that extra avocado is worth it. It’s a generous portion – there must have been a whole avocado crushed in there – and is dressed with chilli and lemon, perfect for spreading on toast. The sausages for the vegan breakfast were more interesting than the vegetarian option. One was an accomplished meat chameleon and the other was a deep orange colour and more spicy. It was nice to have the variation. We left with very happy bellies. If you are going to go for the veggie breakfast unless you’re really into eggs, I’d recommend you just go the whole hog and choose the vegan option with avocado. Then next time try the vegetarian option. Because, if a happy warm feeling in your belly is something you seek, you will be coming back.